What Are Some of the Best iPhone App Route Recorders? Would you like to hold the world in the palm of your hand? 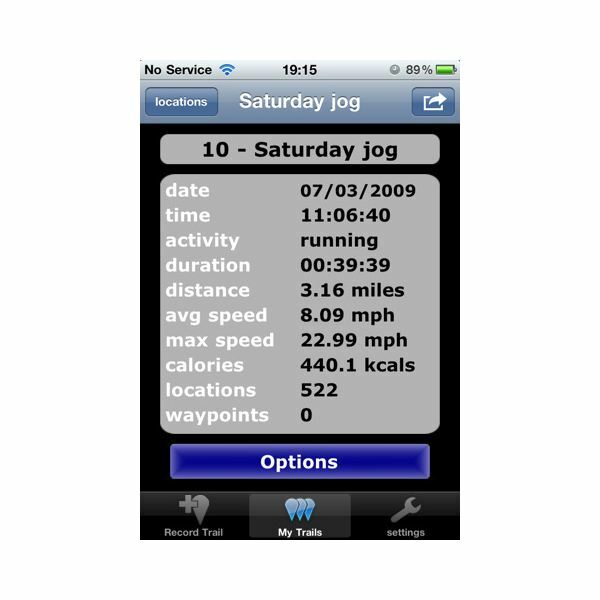 Start with iNomad, an iPhone app that lets your record your movements. You draw the route with your fingers on the map on the iPhone and follow it during the trip. After, that you can watch your trip on Google Earth. Tracking your route by importing it into Google Earth. version, including high-resolution imagery for over half of the world's population. Here are some of the best features: Explore in 3D; get My Location to find your current location; use Multi-touch to pan, zoom, and tilt your view; do local search for cities, places, and business; also search by voice in English, Mandarin, or Japanese. Finally view layers of information, including roads, or borders. 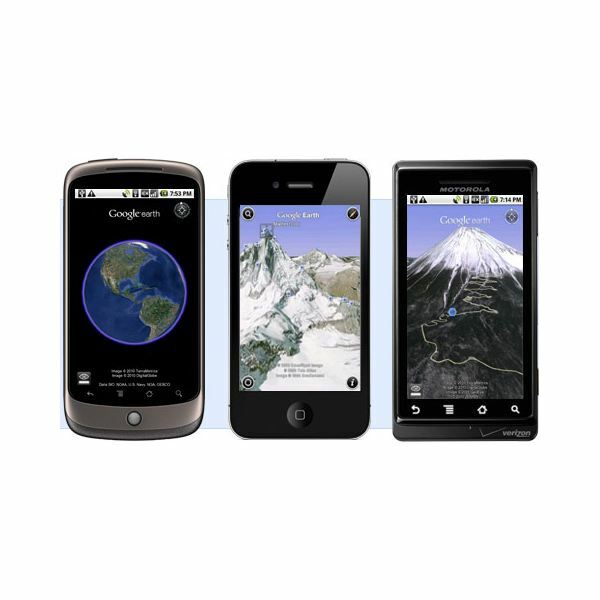 So with iNomad, you are able to get the best of both worlds, tracking your route, and seeing it on Google Earth. 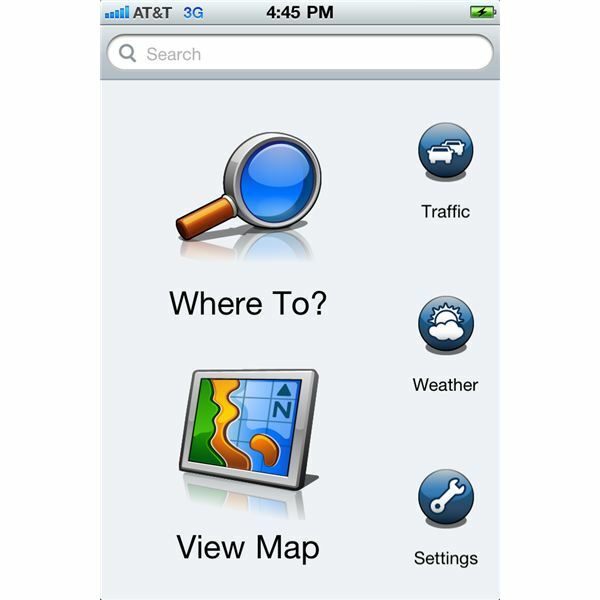 And if you want to read more about Navigation Apps see Best iPhone Navigation Apps. Ups: Get world wide maps and directions. Downs: Not as fast as Google Maps, and uses up too much internal memory. Ups: Record your trips and playback on iPhone or export to Google Earth. Downs: Because of its continued use of the GPS running in the background, this decreases the battery life. If you want to record, import and export tracks onto your iPhone, then Trails is for you. 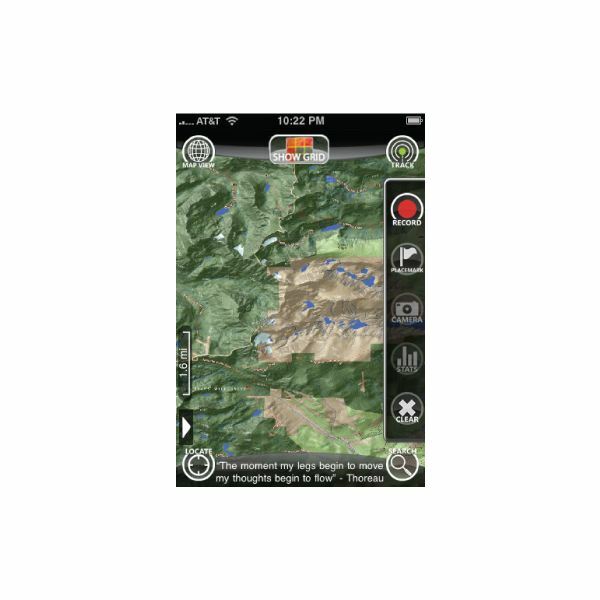 This iPhone App route recorder can let you record maps directly on your iPhone while hiking, on bike trips or while jogging. What else does it do? You can import tracks and follow others hikes. Or you can export your tracks using the GPX Format, which will allow you to geotag and geocode your non-iPhone photos or to share your track with others on Google Earth. Ups: Good ability to keep track of the route you are taking. Garmin StreetPilot sports turn-by-turn directions with text-to-speech spoken street names and graphic lane guidance. There are also free traffic alerts, and built-in contacts. It also has multi-tasking support which, for example, allows you to take phone calls while the app works in the background. Ups: Good operational app. Gives you good information. Downs: Nothing new that you wouldn't expect from an travel app — been there done that. The Garmin StreetPilot is available in the AppStore for $39.99. 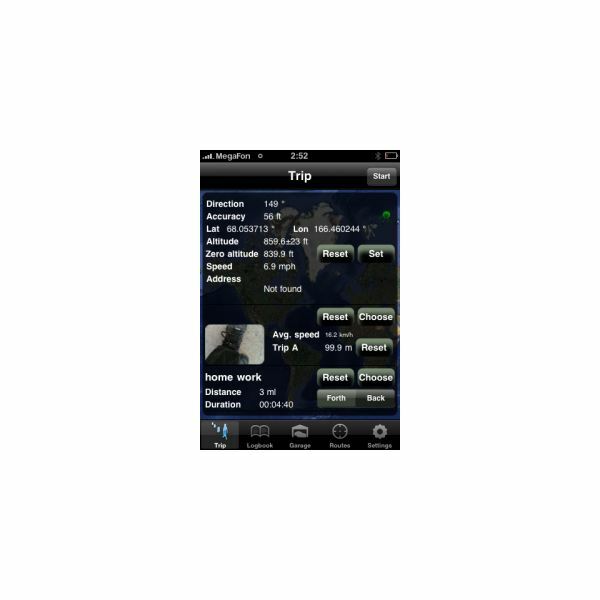 This route recording app for your iPhone allows tracking in background mode (3GS and iPhone 4). You can get information on summits, trailheads, campsites, picnic areas, waterfalls, and recreation areas. Summit names are displayed on the map. There are up to nine tile selections that can be made using a grid. Its basic features allow you to track your distances, walking speed and it can create a map of your walk that you can later save. Ups: Fast and easy to use. Downs: The app has preinstalled low resolution maps. You have to download the high resolution maps to take full advantage of the app. Can you use your mobile phone to track your performance whilst you are out doing physical things, like running, cycling, hiking or skiing, and then be able to use the data how ever you want? Well that's the idea behind iTrail. Under these circumstances you can record the trail you follow, and then plot it on a map. iTrail also has many features that you can personalize. For instance you can record how fast you are going, how far and how high you went on a trip, and then plot them on a graph. If you travel a lot, you can store many trails and compare your performance between each. Ups: The app is inexpensive compared to a full featured GPS and can provide information like nearby points of interest" found on a full service GPS device. Downs: You can only record while the app is active on the display. These route recording iPhone apps provide users with a variety of data experiences when trying to keep track of their whereabouts. Google Earth can give you information about the location you are at in relation to the rest of the world. But others provide more local information like where you've been and how long your trip has taken. Are you interested in walking apps? 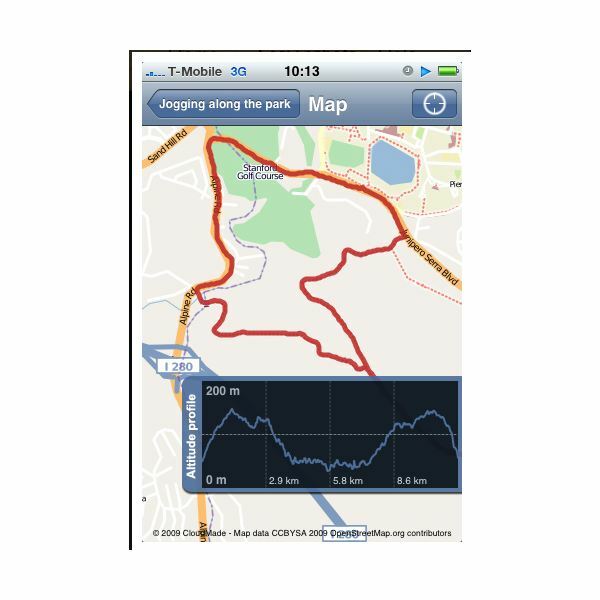 If so, see: Top iPhone Hiking Apps For Outdoor Adventures.